By Oakland County, Michigan psychic medium, astrologer Sherrie Ellen. 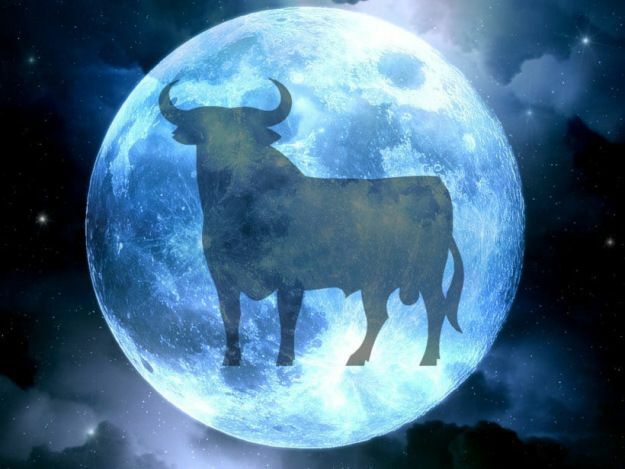 The New Moon in Taurus will take place on May 15, 2018 at 7:47 A.M ET. Mars is moving into Aquarius. the same day that Uranus is moving into Taurus through late November. This energy is very futuristic, driving an upswing in new technology. Where Uranus is positioned in your chart, it draws a desire for freedom. and breaking away from routine. The bottom line is if you don’t go out and shake things up this energy will bring in situations to shake things up in your life so you will be forced to break out of that box and jump out. We are going to have a potential for enormous upswings in the financial arena. The New Moon in Taurus is a new beginning for everyone. The specifics depend upon which House Taurus is placed in your Horoscope Chart. This is an opportune time to set a new intention. It is helpful to know which house Taurus falls in your Birth Chart so you can know the right intention that you should be setting at this time. This energy can multiply the results of your objective. Taurus is an Earth Sign which rules the physical body. Uranus is disruptive and wants to break things down, so corrections will take place. And Taurus wants everything to be calm, peaceful and happy. Michigan psychic, medium and astrologer Sherrie Ellen wants you to be prepared for this exciting partial Solar Eclipse happening February 15, 2018 at 6:16 P.M. Detroit Time, and 9:05 UK Time. 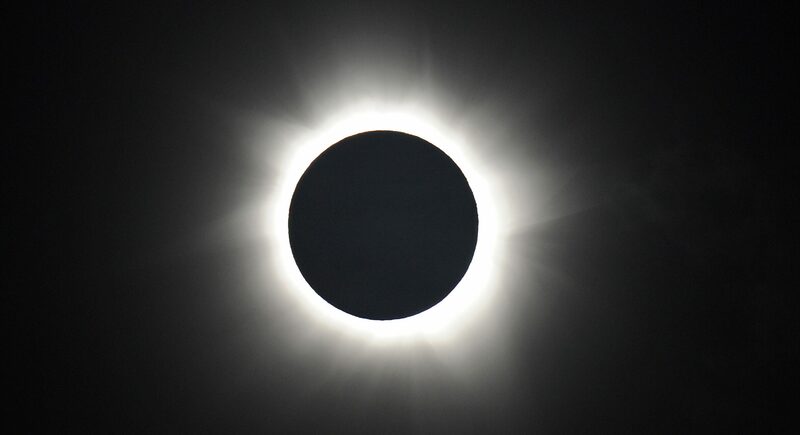 This Solar Eclipse that is taking Place February 15, 2018 is a South Node Eclipse. This is a time we must release the past. This releasing can be about past lives, or the present life. You need to make room in the vessel for the new. To figure out specifically what you need to let go of you need to locate Aquarius in your birth chart. For us to be able to move fully into a new beginning we must let go of what was. Jupiter is pushing us to grow further than we have been able to so far. We are being pushed to widen our visions of what we have even imagined at this point. We are being pushed by Jupiter to become bigger and better than we have ever dreamed possible. The Aquarius aspects is giving us originality and moving toward fairness and equality. The Full Moon in Aries takes place on October 5, 2017 at 2:40 P.M. Detroit time, and 5:40 P.M. UK time. A Full Moon is always a time when things are coming into fruition and completion. This means that the Moon has come into illumination, and has completed its monthly cycle. With this Full Moon, we will be showered with the energy of Aries. Aries is the very first Sign in the Zodiac. Aries is a Fire Sign, and represents the Ram. The Aries energy is all about moving forward, acknowledging your hearts desires, and following your passions. This energy is about ignoring obstacles, and road blocks that are in your way, blocking you from moving forward on your truest journey and very reachable goals. This Aries Full Moon is going to give you a very powerful boost of energy to get you to start moving forward even though the circumstances may seem like they are not ideal. This Full Moon is going to give you a giant appreciation and doze of enthusiasm about you discovering, and rediscovering your passions. If you have any vital planets within a few degrees of Aries, this can shift your vibes over to a totally new positive level of understanding. Venus, and Mars are fellow travelers during a good part of this October. If your Earth Planets are in Virgo, or Capricorn you can attract to yourself a lot of success throughout the Month of October. Remember that the Earth Plain is all of about manifesting, and turning your ideas into physical reality. The New Moon in Aries is a Me, Me, Me time. It’s all about wanting to come first, and about trying to be the best, and better than anyone else at whatever is driving your passion. This energy is all about independence and doing whatever you want without compromise. Some would call this selfish. But remember that you can always just blame it on the Full Moon. Ha, Ha, Ha! But then we have the Sun, together with Jupiter and Mercury in Libra. This is a us energy about harmony, fairness, compromise and cooperation. But because they are Squared by Pluto this adds to power struggles within relationships. 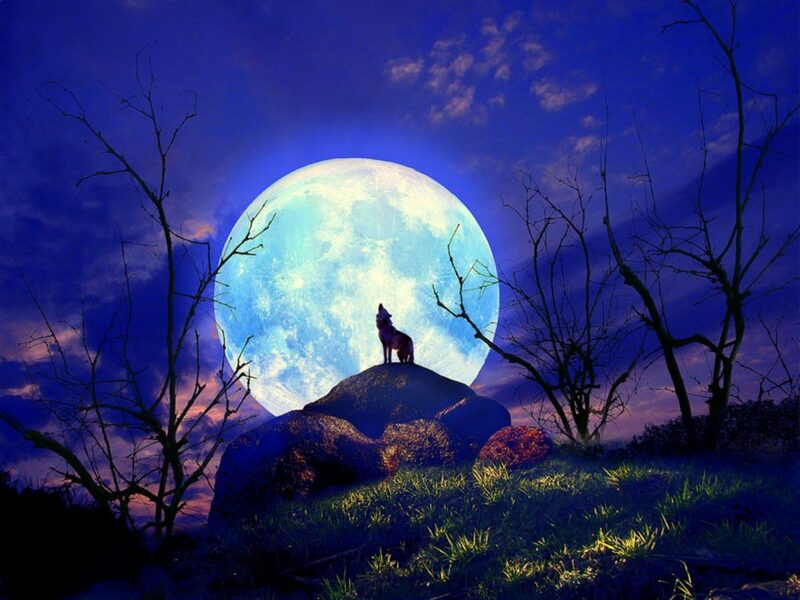 Most times during a Full Moon the hidden comes out. True natures, and secrets are revealed. I want you to realize that Pluto is all about secrets. In Capricorn, it’s all about government and corporate secrets. It’s about secrets about people who are in power. This information is brought to you by Oakland County, Michigan psychic medium Sherrie Ellen, astrologer, who is the lead psychic entertainer for The Traveling Psychics. Many call this the Flower Moon. It’s all about death and rebirth. On May 20, 2017 there will be a Full Moon at 20 Degrees and 25 Minutes of Scorpio. When we look into the nature of Scorpio we are thinking of looking deep. Scorpio is definitely not about just scratching the surface. This is because Scorpio wants to get to the bottom of everything. Scorpio rules the sexual organs and the reproduction system, birth, and death. This is going to be where the Sun and the Moon are in Opposition. The Sun is in Taurus placed in the 8th House, directly across the Moon in Scorpio in the 2nd House. If you have the opportunity to look at a Horoscope Chart you can see all the placements for yourself. The Full Moon is about highlighting the different polarities, and forces within it. The time of the Scorpio Moon is a perfect time for us to release all that we do not need in our lives anymore. It’s a time to just get down to business, and do some personal house cleaning. This gives us the opportunity to make new space for things in our lives to shift, and transform into something on a much deeper level. Pluto is one of Scorpios rulers. During this time we will have a Trine to the Sun, and a Sextile to the Full Moon. This gives us a great opportunity to take advantage of this shift, and claim our power. This is a time for us to really pull our sleves up and get ready to get down and dirty, getting rid of all the unwanted personal crap that we allowed to accumulate in our personal lives. This is a time of standing strong, and transmuting fear into love, including self-love. This is all about having a rebirth. It’s about total transformation. This is a time for all of us to just to stop just treating symptoms, and to just get to the very root of things. Many of our world leaders are in the middle of a mass power struggle trying to protect their territories. We are in the middle of a fight with a system that is essentially broken. The world is fighting terrorism, power over other countries, and world leaders that we find as threats. We are also fightening to mask the financial systems. Everyone wants to do it their way with no flexibility. This upcoming Full Moon in Scorpio is a harbinger of the facts about our economy, and enormous dept. that we will have to face as nations. We will not be able to hide our heads in the sands and let government official’s sugar coat it for us anymore. There are so many people still in the mist of, and/or either in great financial crisis and burdens. There is much going on around finances. Scorpio rules dept. There are masses of dept. within our government and that individuals have created that makes it so surmountable that it’s hard to even imagine it ever being paid. To deal with this problem masses of new money is being created that will even create more mountains of dept. and get us all as a whole further down the rabbit hole. This is a time when hidden truths are revealed. Get ready for the ugly and the shocking. But this is the only way that we can start to turn things around. We cannot live with our heads buried in the sand forever. I always say that the truth shall set us free. Mars which is an opposing energy is in Gemini is Square to Neptune. This can restrict flexibility. But it’s pushing you to try and be flexible because this Scorpio energy will not let go, and will continue to be persistent. These energies are telling us only through flexibility can we start to thrive agai, because there is a Trine to Jupiter which can allow you to reach greater achievements even beyond you intended goals. Two Scorpio’s together makes an intense conversation. Two Gemini’s together makes for distractions and, lack of focus within the conversation. During the time of this Full Moon you can make a lot of progress toward your goals if you don’t linger in the negative, become flexible in your thought and action, and are willing to more toward truth. The May 10, 2017 Full Moon in Scorpio can being you an abundance of money beyond your wildest dreams. Or this could be that you need to work out your own personal dept. and find a opportunity on how to restructure it in a way that will make it possible for you to pay it off. This could be a time where someone in a relationship has caused you great pain, and you are not ready to say your goodbyes. This can give you an opportunity on how to heal the relationship, or heal your pain that has been caused by it. This New Moon can bring in a new lover. This depends on how all these Aspects effect your 7th House of relationships during this New Moon in Scorpio. This is not a time for fear. New moons bring new opportunities to transform your situations, and new beginnings. These Aspects can bring in a lot of fear to many people who are terrified to see the truth. But this is not the time to live in and hide in your fear. This is a time with lots of opportunities to transform and turn anything negative into a positive winner of a situation. This is also a time to learn from your mistakes so you can fix them, not repeat them and do better. Stop feeding into, and refueling your fears by listening to all the energy vampires words that are pouring paper tigers into your subconscious mind. Most of this negativity is learned behavior reinforced by habits. You need to learn to be able to take a leap of faith, and stand at the edge trusting your own intuitional instincts. Try and remember that the darkest moment is usually right before the dawn. Great Michigan Psychic Readers for parties and events. They are relaiable, accurate and show up.